Judy Fredenburgh is a professional educator for sewing, embroidery, quilting and crafting. Judy’s teaching style takes new technologies and inspires students of all levels to find their unique creativity to exhilarate their sewing and crafting passions. 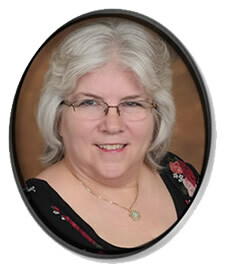 Judy has more than 30 years of experience working in the Sewing Industry. As a former Corporate Educator, Event Coordinator, and Retail Store Manager, and a small business owner herself, Judy has a well-rounded understanding of the Sewing Industry. Judy’s passion for all things sewing started in southern California in 1961 when her Grandmother gave Judy her first sewing machine. More than 50 years later, Judy thrives on sharing the sewing bug at locations across the United States! Whether helping others create sewing projects from new crafting techniques or designing precious family keepsakes for generations to come, Judy brings inspiration, passion and an absorbable teaching style to her students.